Vietnam is a long thin S-shaped country in Southeast Asia with a population of nearly 97 million people, making it the 15th most populated country in the world. It borders the South China Sea, Gulf of Tonkin, Gulf of Thailand, China, Laos, and Cambodia. I lived in Hanoi (its capital city) for 4.5 years in the early to mid-90s and fell in love with this amazing country. It was a time of great change, and one of the most special periods in my life not least because I met my (French) husband there. 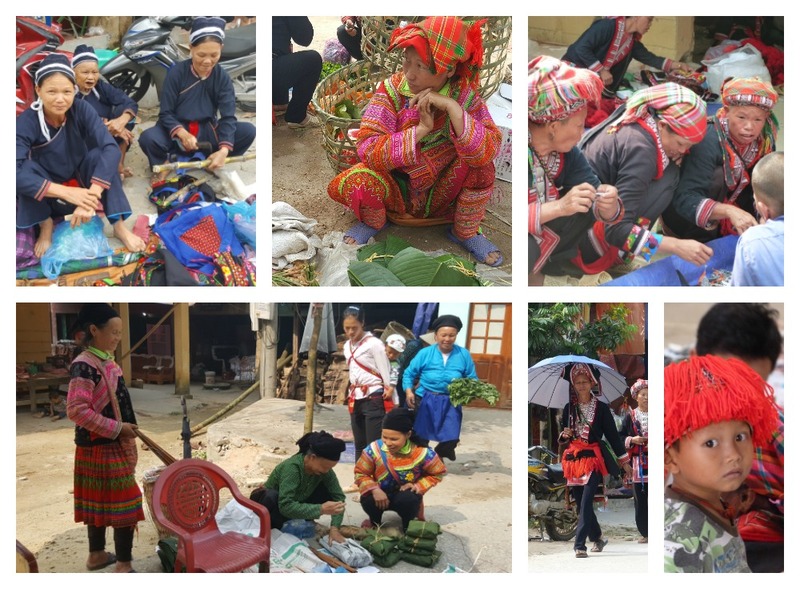 We recently went back to Vietnam with our children (a tween and teen) for a fabulous family holiday, introducing them to this dynamic, colourful, noisy, busy, crowded, charming, gorgeous country. Now I’d like to share some of this passion with you. 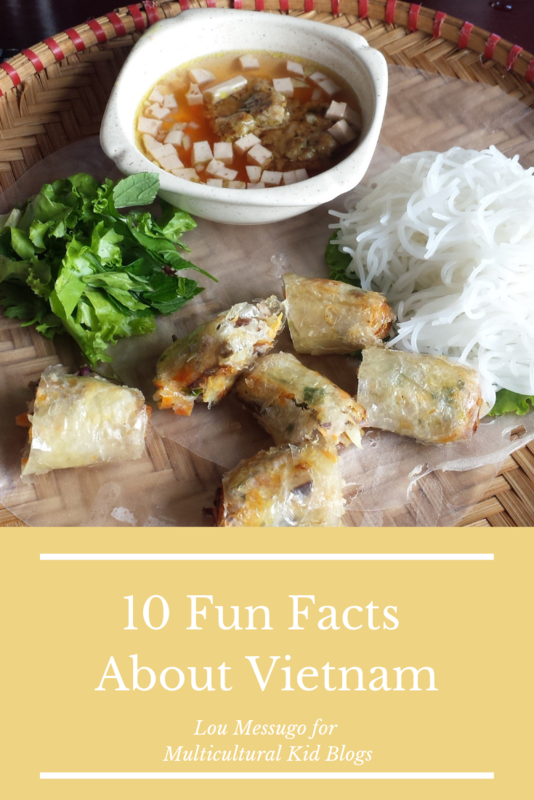 Read on for 10 fun facts about Vietnam. Việt Nam (as it’s written in Vietnamese) means the Viet people from the South (“nam”). The Viet are the dominant ethnic group in the country (86%) but the government officially recognizes a total of 54 minorities. The majority of the ethnic minorities live in the mountainous regions in the North and West. The Vietnamese language uses the Latin alphabet with accents to denote tones but it wasn’t always this way. It used to be written in Chinese characters until a French Jesuit priest (Alexandre de Rhodes) developed a phonetic writing system in the 17th century, though it wasn’t until the early 20th century that this system was fully in use. Vietnam has one of the highest literacy rates in the world, at 97.3 %. Children wear uniforms to go to school and learn to write beautiful cursive handwriting (see photo above). Take a look at the video below to see an example of school uniforms. The Vietnamese language is tonal. Each word has 6 tones with 6 different meanings. A good example is the word “ma.” Depending on which tone is used it can mean mother, a ghost, to coat with silver, however, a game, or a grave. All very different and for someone not used to tonal languages, very easy to get wrong! 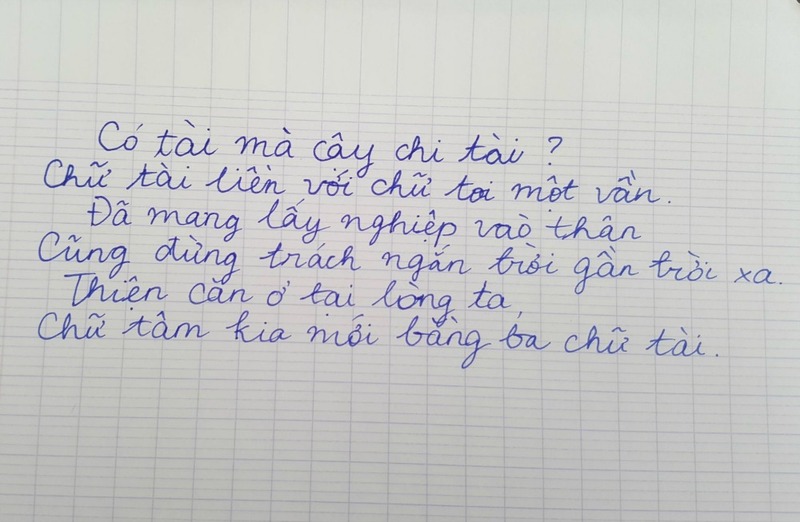 Vietnamese has also adopted many words from other languages, particularly French. As a French speaker these are some of my favourite examples: cà phê (coffee, from café), kem (cream, from crème), sô cô la (chocolate, from chocolat), xúc xích (sausage from English), giăm bông (ham, from jambon – pronounced jambon), sơ mi (shirt, from chemise), ga (train station, from gare), xi măng (cement, from ciment). Note how many are words for food! Vietnamese food is delicious: it is fresh, flavoursome, and healthy with a great variety of dishes. 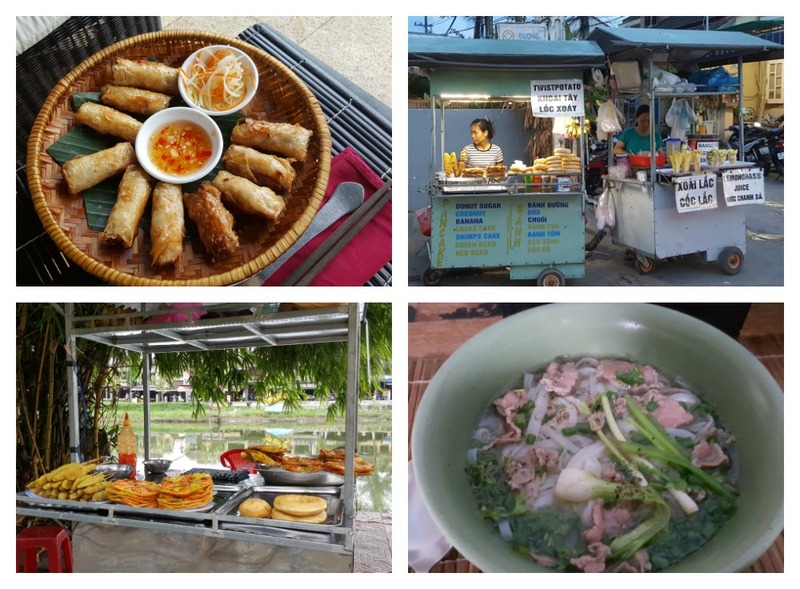 Some of the best food is found on the street, eaten at little stalls or pavement cafés serving just one dish. Different parts of the country have different specialties. Here are some classics that you absolutely have to try: Phở, a soup made from a light broth – either beef or chicken – with rice noodles, spring onions, and herbs. Bún chả, grilled pork with cold rice vermicelli and salad. Bún bò, beef and rice vermicelli with herbs and peanuts served in a bowl with a little sauce. Nem (can be called Chả giò or Nem rán), deep-fried spring rolls usually stuffed with pork but vegetarian and other flavours are available. Vietnam is the world’s second largest coffee exporter. Traditionally Vietnamese people drank tea but since the French introduced coffee in the 19th century it has grown in popularity. However, it is not drunk in quite the same way as in Europe/USA and other parts of the world. It is popularly served with condensed milk and often drunk cold over ice. But the most unusual way to drink it is with a raw egg stirred in. Vietnamese egg coffee has become very popular among foreign travellers. Take a look at this video to find out more. It’s easy to feel like a millionaire in Vietnam! The currency (called Dong) exchange rate hovers around 25,000 Dong to the US Dollar (similar rates to the Euro). This means 1 million Dong is just less than $40 and just over 40€! 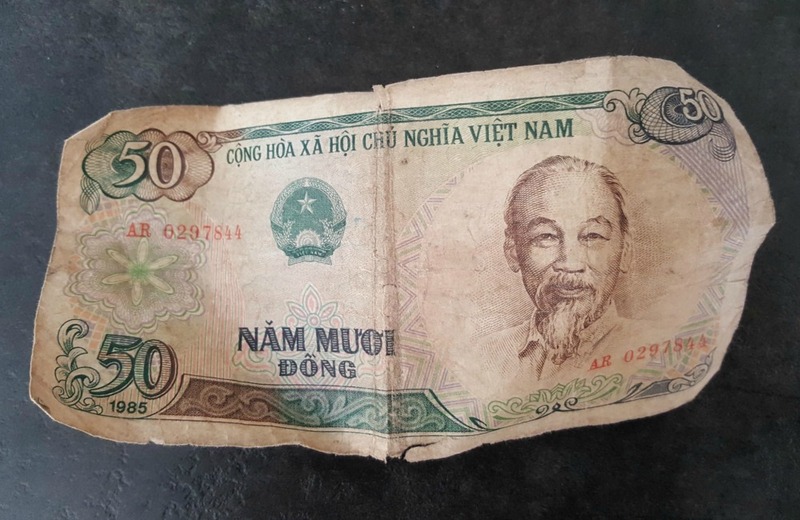 The note in the photo below, 50 Dong, is worth about 0.002 $/€! 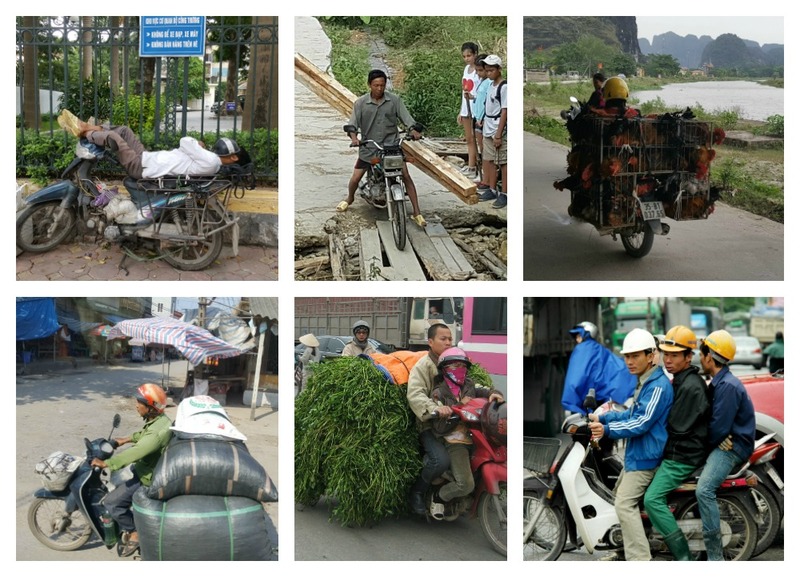 There are around 45 million motorbikes in Vietnam (almost one for every two people!) They are the main form of transportation for most people. With a little ingenuity (and balance) they can carry pretty much anything and everything. Examples shown in the photo below include 4 meter-long pieces of timber, chickens, 3 adult men, huge piles of vegetables and sacks of cement. They can even be used for taking a nap! 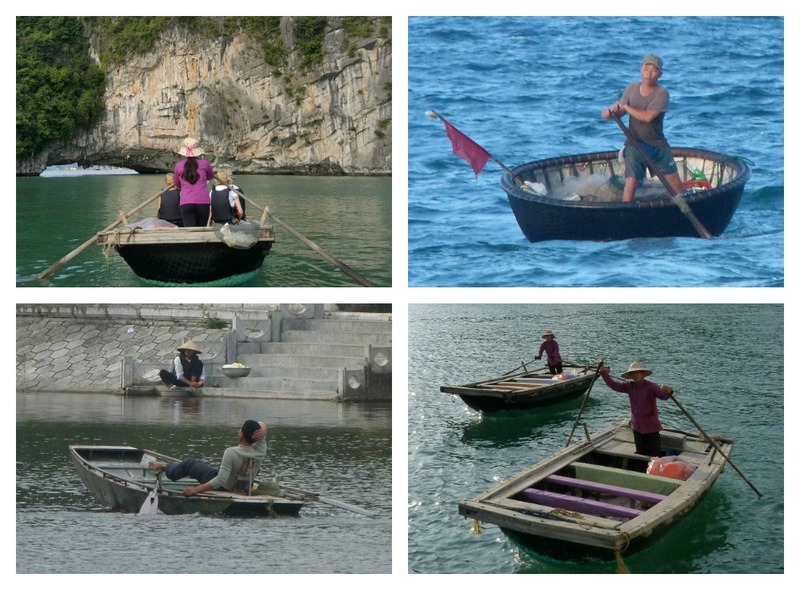 Vietnamese people row a boat forwards, not backward as is the norm in most countries. They often row with their feet or standing up! Watching the ease with which they manoeuver a boat made out of rattan (in itself pretty astonishing) is a seriously impressive and rather beautiful sight. And finally, it’s hard to talk about Vietnam and not mention the war. This is not a “fun” fact, just a fact, period. For many people, all they know about the country is the Vietnam War, but in Vietnam, it was known as the American War, naturally! It lasted about 20 years (1955-1975) and came after 9 years of fighting the French (1946-1954), which followed on from World War II. Effectively the country was at war for around 30 years (not counting WWII), making it one of the longest lasting periods of conflict ever. But the Vietnamese people have a remarkable capacity to forgive and move on, at the same time putting war damage/paraphernalia to good use. 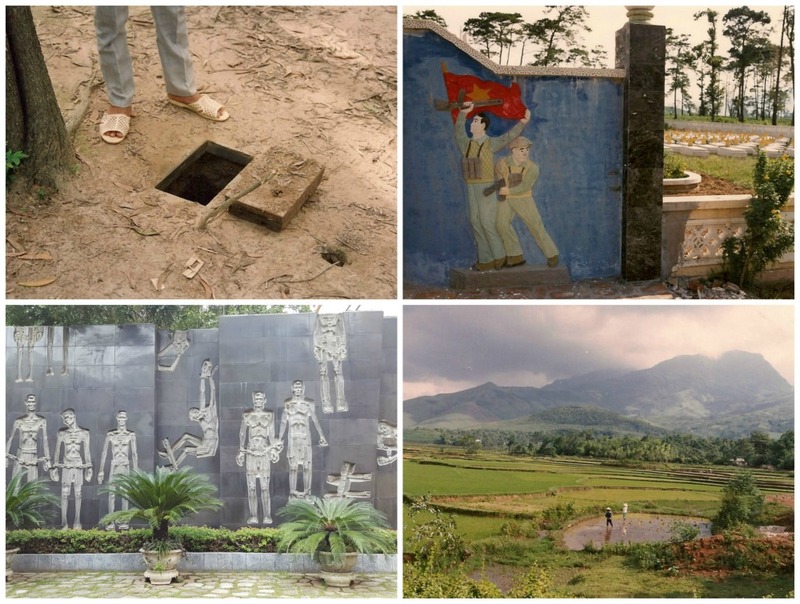 Nowadays people can visit the tunnels the Viet Cong used to hide from the Americans (top left photo below) and war museums around the country. And if you look carefully you might even see an old parachute being used as a café awning or bomb craters as duck ponds (bottom right photo). I hope you enjoyed reading these 10 fun facts about Vietnam and learned something new about this beautiful, dynamic country. 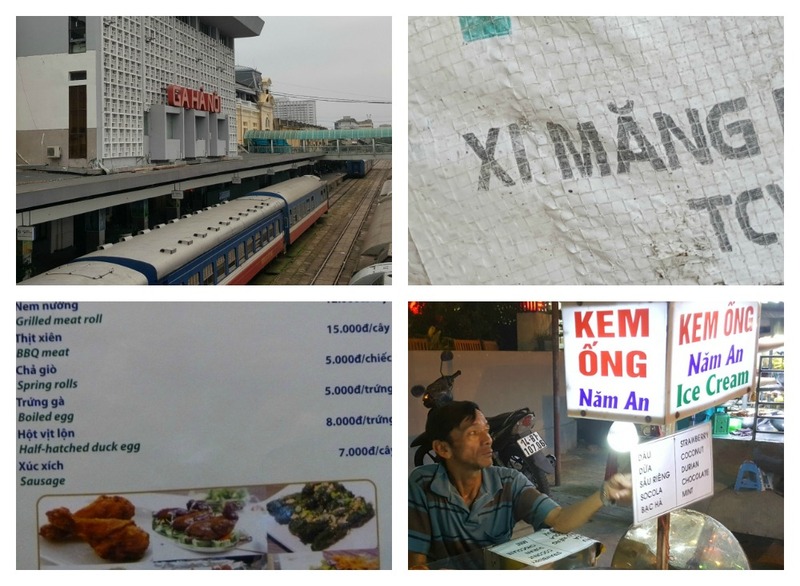 Click here if you’d like to read more about Vietnam and Hanoi in particular. hi, This is one of the best blog i have read so far.in this blog Vietnam is interestingly presented. Gurusiksha makes learning more interesting.